INDIA: Prime Minister Narendra Modi and his Japanese counterpart Shinzo Abe launched the Mumbai-Ahmedabad bullet train project on September 14, 2017. The project, that seeks to connect the biggest cities of the Indian States of Maharashtra and Gujarat respectively, is estimated to cost Rs 1,10,000 crore. The Modi government has advertised the project as a symbol of new India that would significantly reduce travel time (from seven hours to about two hours) between Mumbai and Ahmadabad and spur economic growth in the region. Critics on the other hand say that the funds for the bullet train project could have been better utilised to revamp the ailing Indian Railways, which has witnessed various setbacks in the form of derailments and accidents in the past, instilling fear among passengers. The obvious question that has arisen now is regarding the huge cost disparity between China’s bullet train on the one hand and India’s on the other. Meanwhile our neighbouring country China has received the first overseas order to export its bullet train technology. 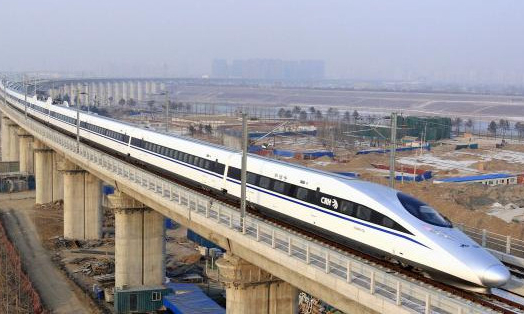 According to reports , on September 21, China and Thailand agreed on the first phase of a planned high-speed railway (HSR) project that will cost 179 billion baht ($5.15 billion). Thailand approved the $5.5 billion high-speed railway project aimed at linking Bangkok with southern China. The first phase will focus on a 250 km (155 miles) track from Bangkok to the north-eastern Thai province of Nakhon Ratchasima. The obvious question that has arisen now is regarding the huge cost disparity between China’s bullet train on the one hand and India’s on the other. While Thailand would be paying $5.5 billion for 250 km, India will be spending $17 billion for 500 km. This has been described by none other than the Indian Prime Minister as being “almost free”. The ostensible reason given for this is that the Japanese government is financing 81% of the cost of the bullet train project with a Rs. 88,000 crore soft yen loan carrying an interest rate of 0.1%. But experts point out that this is not sufficient as even if interest rates are low, the principal amount has to be returned in Japanese currency. Furthermore, the exchange rate risk is entirely to be borne by India. The repayment amount could rise to around Rs. 1.5 lakh crores over 20 years without considering the rise in costs or delays that affect most of the infrastructure projects in India. Apart from the sky-rocketing cost, there have been reports on the adverse effects of PM Modi’s pet project on the farmers and tribes in different regions of Gujarat. India would be the lone low-income country to operate an HSR line, that too against the known experience of poor viability. Is this vanity worth the highly expensive gamble India has taken?